An original 1946 copy of a sworn statement given by Winecoff fire survivor Paul Lankford has been discovered. 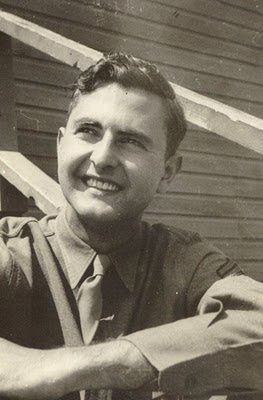 Lankford, 26, of Birmingham, Alabama was an Army Air Force veteran of World War II and was in Atlanta working for the Southern Natural Gas Co. He was asleep in room 324 of the hotel when the fire broke out and was one the first to discover it. In the weeks that followed, he was one of many asked to give sworn statements to insurance investigators. His son Wayne recently made the find: his dad's carbon copy of the statement. Paul Lankford's story is told beginning on page 21 of The Winecoff Fire: The Untold Story of America's Deadliest Hotel Fire.